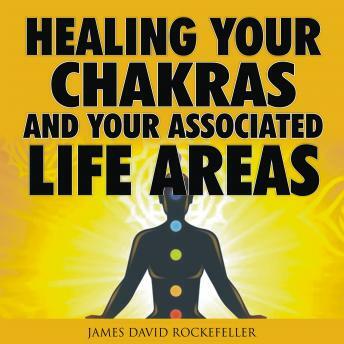 The word chakra is derived from Sanskrit language and literally translated it means wheel . This is because these energy centers of chakras are circular in shape and are continuously spinning, regulating the flow of energy throughout your subtle non-physical body. Chakras are the energy centers in our non-physical and non-material subtle etheric body. These energy centers are constantly spinning like a wheel sending energy to different parts of the subtle body and their associated physical body parts. When these chakras are balanced and open, the energy easily flows in and out of them. This ensures that not only does our spiritual body, but our related physical, mental, and emotional body also stays healthy and fit. When they are blocked or imbalanced, energy flow is sporadic, thus, making our physical, mental and emotional body sick as well. It is, therefore, important that if we want to heal a specific area in our life or in our physical body, we work on balancing the associated chakra along with the entire subtle body. So, what are these chakras? How are these chakras formed? How many chakras are there? Which areas of our life and which body parts are associated with which chakras? How can one heal and balance these chakras? Find out the answers to these questions and much more in this audiobook.